Sorry Bamba: From Mali, With Love And Enchantment In "Sare Mabo," Sorry Bamba adds a colorful new piece to the splendid puzzle that is Malian music. In "Sare Mabo," Sorry Bamba's elliptical river blues sound adds a new and colorful piece to the splendid puzzle that is Malian music. Here's a blast from the past that sounds as fresh today as it must have when it hit the airwaves in Mali more than 30 years ago. 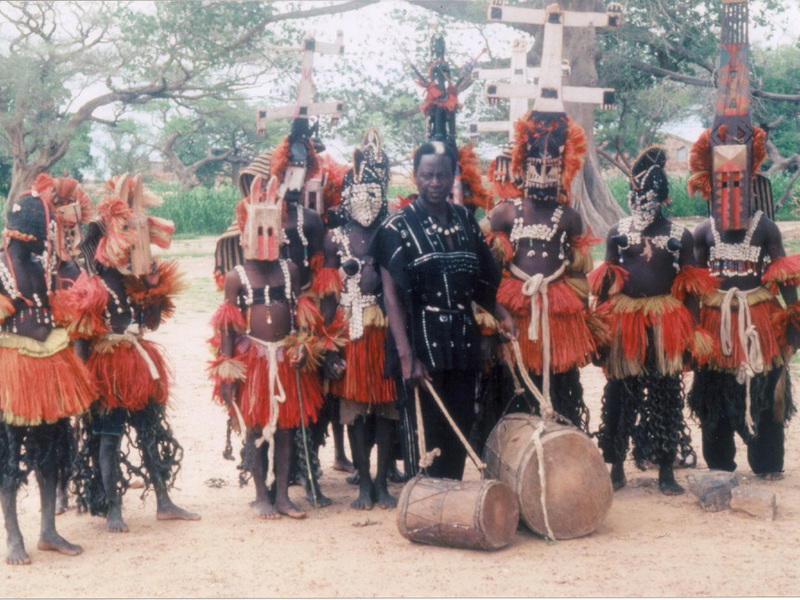 Back then, Sorry Bamba led the Regional Orchestra of Mopti, one of many state-sponsored bands charged with preserving and modernizing regional folklore. The region in question is the Niger River town of Mopti — well north of the capital Bamako, but well south of the legendary Timbuktu. Mopti was and is a vibrant crossroads of cultures, a place where nomads of the savannah, river-bank farmers and fishermen find common cause. The rhythms, melodies, words and sentiments of Sorry Bamba's music make room for all that, along with spicy electric guitar and keyboard riffing, a punchy brass section, layers of voices and percussion, and Bamba's own fleet improvisations on six-holed wooden flute. "Sara Mabo" is a Peul (or Fula) song in praise of a village of weavers. Its sizzling triplet rhythm is hypnotic, its vocal interplay enchanting, and the solo musicianship of lead guitarist Mamadou Koko Dembélé and Bamba himself on flute complete the magic. All these years later, Bamba still takes an active role in curating his long-overlooked archive of music for an international audience, in the process demonstrating a persistent appetite for the best of '70s African pop. With so much attention paid to griot bands of the Malian south and desert blues acts from the north, Sorry Bamba's elliptical river blues sound adds a new and colorful piece to a splendid puzzle. Banning Eyre is senior editor at www.afropop.org.